Mumbai: In September 2012, deCordova Sculpture Park exhibited its first sculpture by an Asian artist, Rathin Barman’s Untitled, 2012, which debuted with Experimenter at the Frieze New York Sculpture Park curated by Tom Eccles. deCordova Sculpture Park is one of America’s premier sculpture institutions, and it is investing strategically to be the best sculpture park in the US by 2016. The Creative India Foundation is obviously thrilled to partner with them to spread the reach of Indian creativity internationally ahead of opening our own sculpture park. 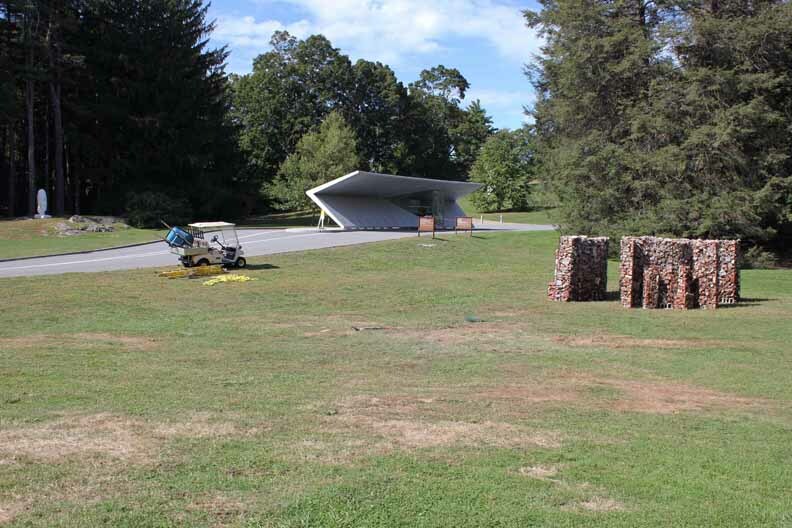 Nick Capasso, the Deputy Director for Curatorial Affairs at deCordova Sculpture Park shared, “The installation process went very well, and everyone here is thrilled with the sculpture! We honestly could not be more pleased, and Rathin himself is very happy with the iteration of Untitled at deCordova, which looks very different than how it appeared at Frieze in New York…This artwork has been a success for us on every level – aesthetically, educationally, and strategically.” I am excitedly awaiting images of the work in the snow once the seasons change. I took some time to interview Rathin Barman and his gallerists Prateek and Priyanka Raja about Rathin’s experience at deCordova and to learn about how they saw the work transform from an art fair context to an institutional context. Rathin Barman had his first solo show less than a year ago, and he is already making solid marks on the international sculpture scene. I look forward to seeing Rathin’s work develop as he continues to experiment, experience, and learn. To avoid reader fatigue, I have broken the interview into two parts, first an interview with Rathin Barman. The conversation with Prateek and Priyanka Raja will follow in my next post. 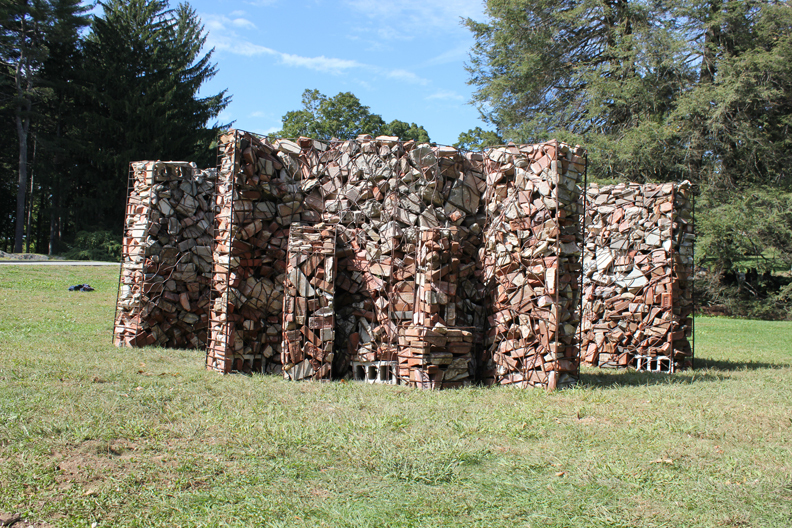 DC: The work looks completely different at deCordova than at Frieze. How did you react to the new site and how did that experience translate into this work? 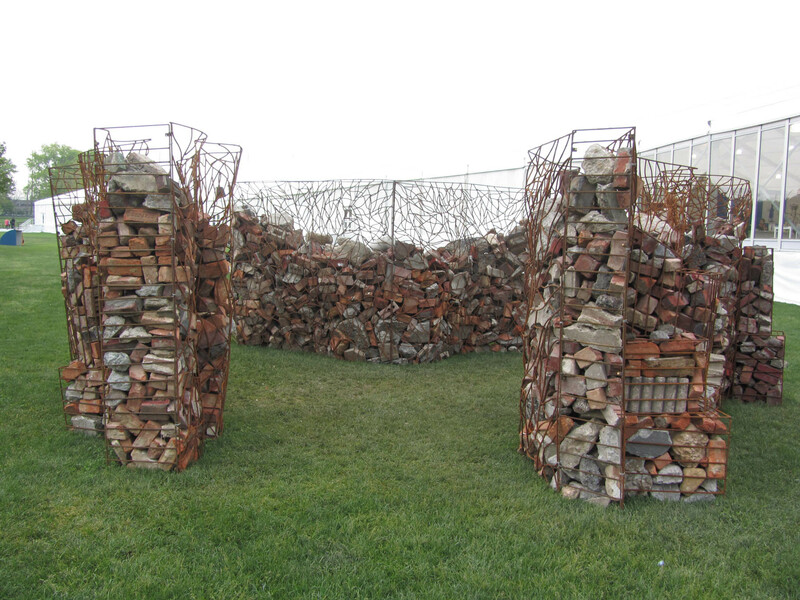 RB (Rathin Barman): Randall’s Island, the venue for Frieze NY 2012 and deCordova Sculpture Park are completely different sites in terms of environment, urbanity & development with respect to installing Untitled 2012. Randall’s Island is among the lone green areas in New York City surrounded by three mainland city parts, and it is entrapped with box-like architectural structures. I have reacted to the site and situation of the entire physical space of the island while proposing and installing the work at Frieze Art Fair. Three massive wall structures made of iron construction bars are the metaphoric representation of the shape and geographical position of the island both visually & conceptually. These wall structures created a cage like space in between where viewers can walk through. The inner part of the walls structured organically free flowing, loosely associates formation of tree branches, while the outer part is much more architectonic which simulates the architectural set up of closest city line. The rubble that partly filled the wall structures was collected from demolished building sites from Manhattan and the surrounding boroughs connected sites to the situations. Moreover, the form allowed viewers to look and experience the work and the surrounded sites of urban development at the same time. 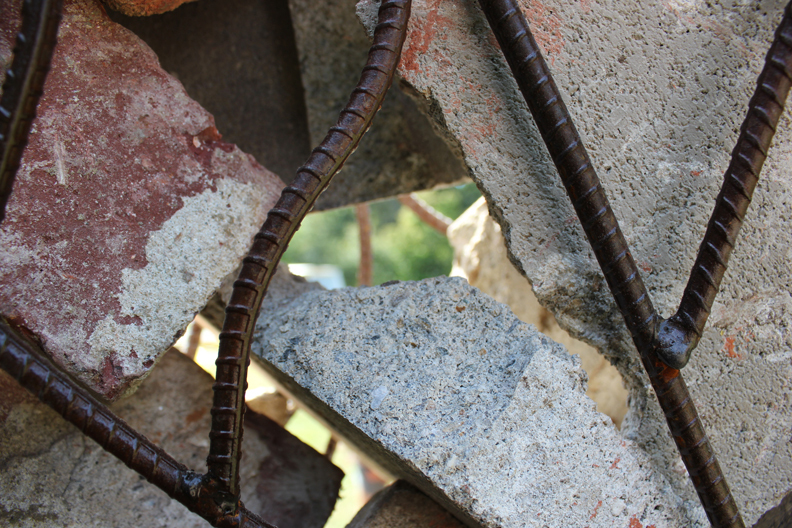 It was interesting to see the city through an organically free flowing structure partly obstructed with rubble! It gives a feeling of the city’s tenacious need to grow against its own internal fragility. 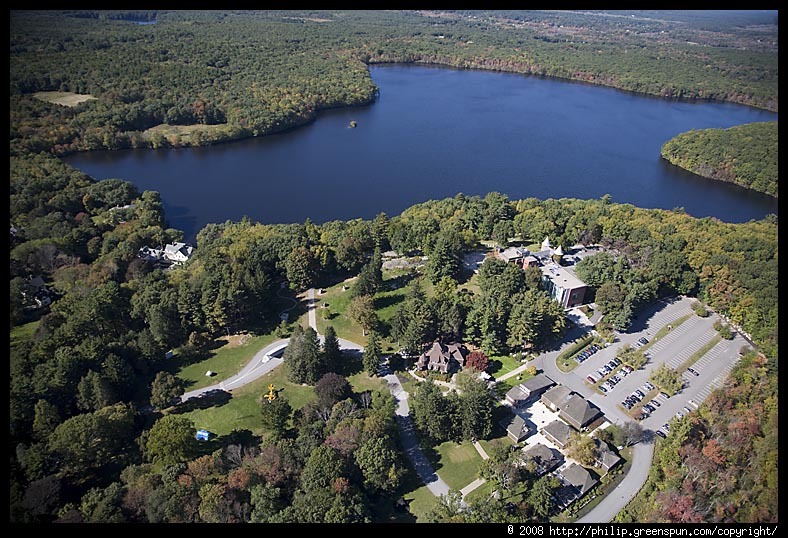 While regard to my experience at deCordova Sculpture Park at Lincoln Town, Massachusetts and Lincoln area, my excitement and feeling was totally different from Randall’s Island. More than 95% area of deCordova and Lincoln are green, almost uninterrupted natural space making a strong contrast with the nearby city of Boston. Here the ground plan of the installation is almost unchanged but the rubble (again found locally) filled all over the structure commenting a different realization toward the site and situation. There is no such city line to see but the beauty of nature has been obstructed by the rubble which would remind the viewer of urban development/expansion. Gradations of the park and viewing the installation from inside & outside add an interesting dialogue between the work and the landscape, in context of nature & urbanization and stipulation of their existence. DC: People think rubble is rubble, what differences did you find between NY rubble and Massachusetts rubble? And how is that different from India? What does that have to say about the respective changes in urban development between these spaces? RB: One of the most interesting parts of the work is that I made the iron structure in Kolkata, and it’s been transported to NY and then Massachusetts. And I had never been to the US before proposing the project, so I realized the urban site and situation of US virtually and theoretically rather than carrying a physical experience of it while creating the work. But, when I was making the iron wall structure, the filigree of organic flow onto the structure definitely came from my physical experiences of Indian cities and their surroundings. However, environmental issues regarding urbanization and expansion of urban space are a common challenge to the urban developers throughout the world. In that sense, Untitled 2012 has a universal context. Using locally found rubble into the installation is a response to character particular site and its surrounding development. The Massachusetts rubble had been delivered twice, in both times it contains almost 50% of soil with bricks, stones & concrete, but in New York soil percentage was close to zero. It was almost 100% concrete and bricks. NYC has much more crowded with buildings than Boston the reason why you can hardly find soil into rubble. This is an interesting characteristic of rubble found in two different cities. DC: You gave several presentations during your time at deCordova, how did the audiences react to your work? Any particularly good questions that pushed the way you think about the work? RB: Interaction with deCordova audiences was amazing. These were very intimate conversations and I was pleased to know that the local population responded well to my work. Most of my works including Untitled have dealt with multiple ideas related to urban expansion, history & development, environmental issues, relation between rural and urban through formal and material representations. Hence, the viewer interactions were like discussions with each other. Viewers could identify and read/associate with the form, material and the process of the work with his/her experiences, and that way they played a very crucial role with my art practice and often added new layer or meaning or facet to the work. The conversations opened up new angles for me. During an open conversation one lady associated the rubble with 9/11, which I had never thought of at any stage of the production or installation of the work, to her, the rubble meant something else, a different sort of demolition. 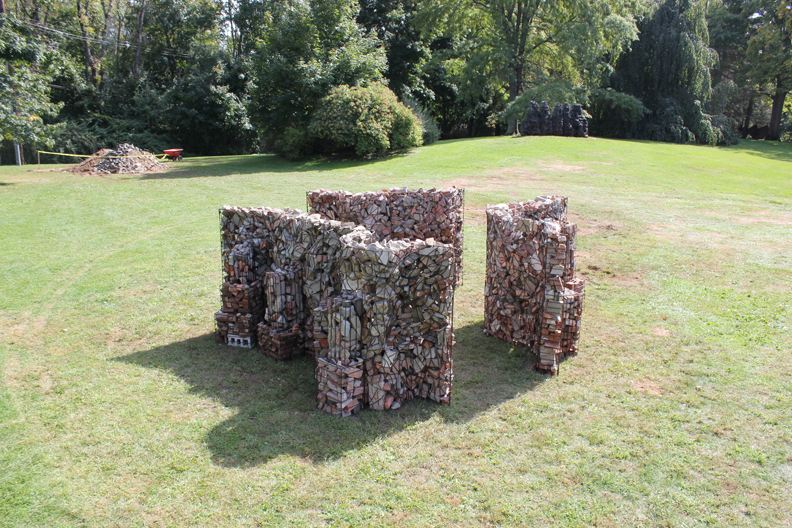 DC: How was the process of transforming the work with deCordova’s curators? RB: Working with deCordova was a fantastic experience. During the installation process we have discussed about the history of deCordova, the sculpture park, settlement of Lincoln Town, history of Boston’s urban planning and development etc. and at the same time urbanization in India, these discussions had an important role to the process. My practice and I were very beautifully absorbed into the park and its people, which helped me respond to the space. Diana Campbell is Founding Director and Chief Curator, Creative India Foundation, Hyderabad, a private foundation which advances Indian contemporary art globally and is developing India’s first international sculpture park. She is responsible for directing the foundation’s programming, selecting artists & commissioning sculptures for international sculpture parks as well as the foundation’s future park slated for 2015. Through her work with the foundation, she is a key advisor for renowned international sculpture parks such as de Cordova Sculpture Park, Yorkshire Sculpture Park, Wanås etc. on Indian artists for their collections. Campbell has curated sculpture projects for the India Art Fair, and SH Contemporary fair in Shanghai, and has contributed to projects at Frieze New York, Frieze London and Art Hong Kong. She is also is the co-curator for the Mumbai City Pavilion for the 9th Shanghai Biennale. Campbell also advises real estate developers on their public art programs in India. Prior to moving to India in 2010, Campbell curated exhibitions independently at prestigious galleries such as Marlborough Gallery, and worked at Sotheby’s New York and the Neue Galerie. Campbell is a Princeton and Independent Curators International (ICI) alumna, and speaks Mandarin, Portuguese, and Spanish. I think this is a powerfull website with much interesting blogposts about this stuff. And i just wanna say thnx for this. I’ll subscribe to your blog to see if you post more stuff like these!